Instagram is probably one of the many things out there that can make anyone feel insecure. You open the app and all you see are pictures of flawless faces and perfectly chiseled abs. The same thing happens with characters in movies. You watch all these actions flicks where either the male or female lead is extremely fit and despite all obstacles they defeat the enemy without struggle and to top it all off they get the girl or guy in the end. And then you have the Kardashians. I know that they’re all doing their own thing like Kylie has her cosmetics line, Kendall is off modelling, and the three other sisters have their clothing line and whatever else they’re doing, but a lot of people say that they’re famous for doing nothing. Which to some extend is kind of true because they’re making money off of the fact that we watch their reality shows for literally no other reason other than it’s addicting. And through watching their shows we see how materialistic they can get and how self-absorbed they can be with how much they work out, change their outfits, and they constantly have people doing their hair and make-up. This leads me to my next point. 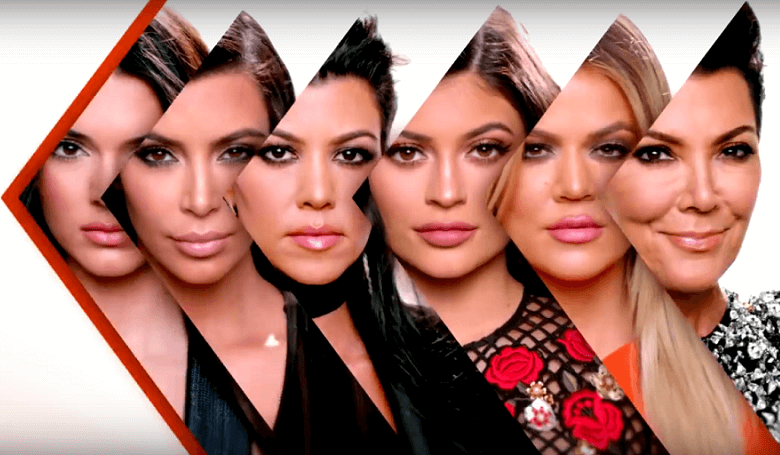 A little while ago, the Kardashians sat down with Megyn Kelly for an interview. And in one of her questions she basically asked them about whether or not they feel they promote an unrealistic beauty standard for girls and young women around the world. Kim quickly jumped to defend the family saying that the show presents a lot more positive stuff over things like hair and make-up. She gave the example of how Bruce’s (now Caitlyn) transition has touched so many people. Kendall also chimed in by saying that none of them are perfect. But, I think it was Khloe who had the more realistic answer. She said that she grew up always being compared to her sisters, but because she had such an amazing core base she never felt any less. And she goes on to say that it’s the responsibility of parents and families at home to teach their children core values and that who you are comes from within. This is true. If you have a great support system at home and have great friends around you, no amount of re-touching, photoshop, and an entourage of hair and make-up people will ever make you feel less than. Because even celebrities on magazine covers and models don’t look like what’s presented to the world. Once you get rid of all that extra stuff, they are just like you and I. Even Christie Brinkley, the 63 year-old model who looks half her age, admitted recently that she has used anti-aging treatments. There is nothing that can stop you from aging, sagging, and all that other stuff that happens when you get older because that’s what’s supposed to happen. So if you can get passed having to be perfect all the time and accept how your body changes and grows while you go through different stages in life, you’ll be more at peace.